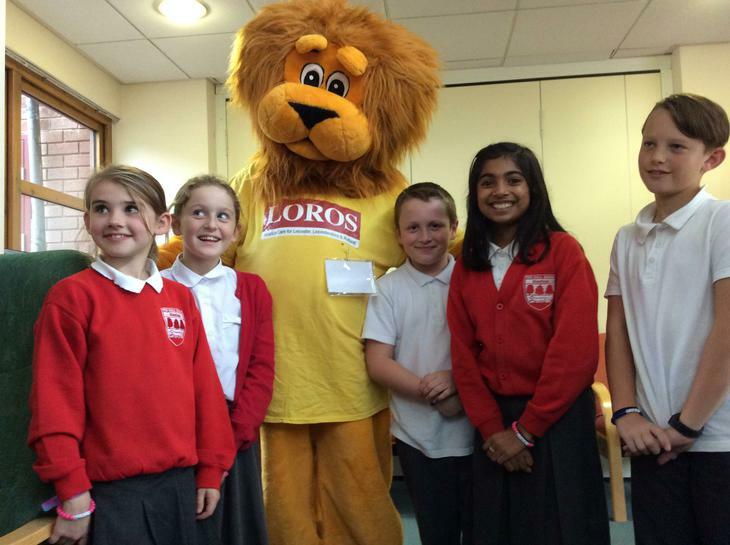 For many years The Hall has had close links with LOROS. 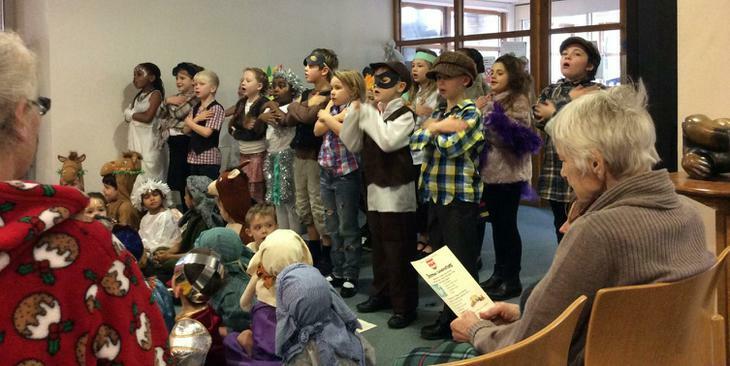 The children support the work of the hospice in a variety of ways. 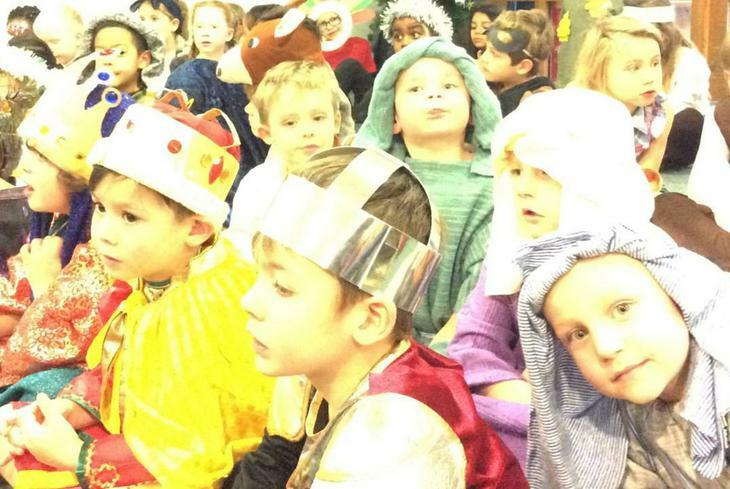 Every Christmas time the children in Foundation and Year 3 go across to sing songs from their Christmas productions. They perform to both the staff and patients. 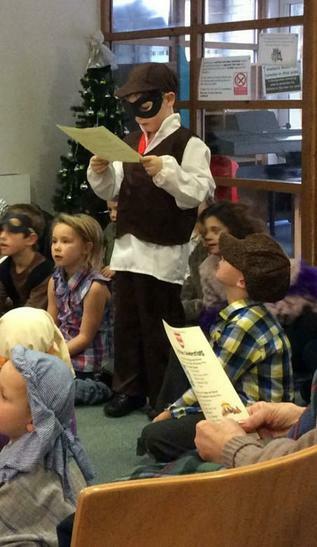 Each class in the school sends across Christmas cards they have made for every patient. We support them financially by giving donations from all the concerts and performances throughout the school year as well as through special events. 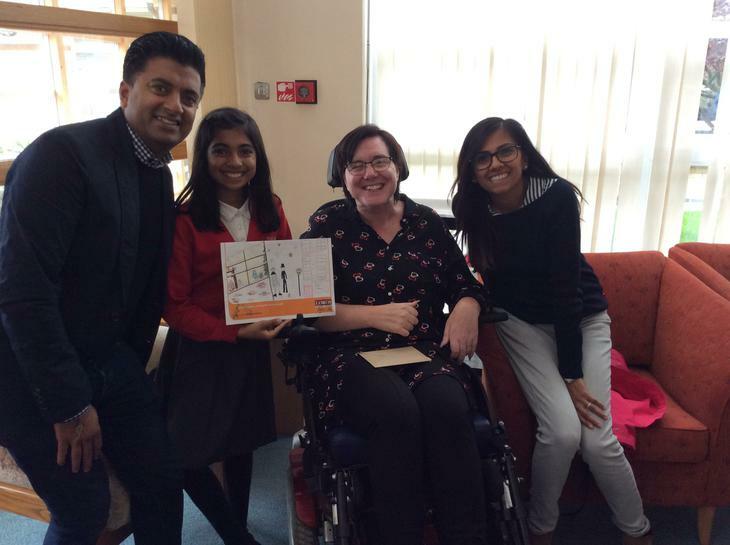 The staff from LOROS were invited to join us at school to watch the latest Jungle Book Production performed by Year Four children. For the last two years Year Five children have worked with staff and patients on an Outreach Art Project. Staff from the Hospice talked to the whole year group about their work and then five volunteers went over to work alongside patients. Each pupil was paired up and the aim was to design the corporate Christmas card which is sent out to all businesses. 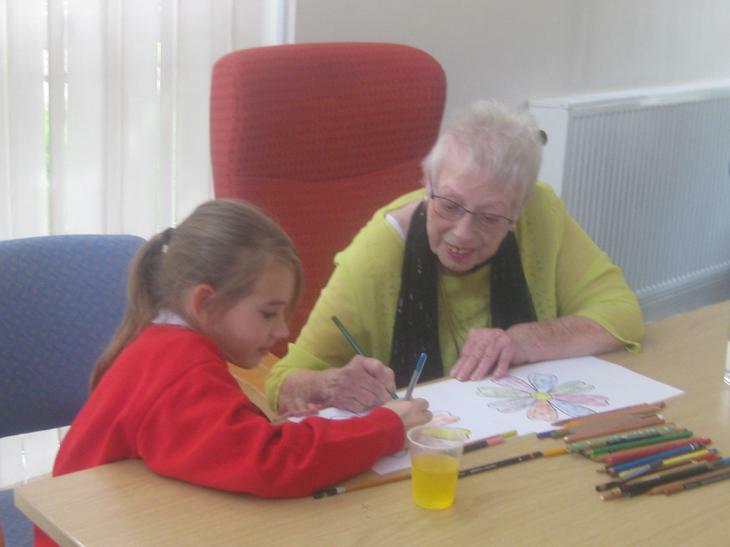 The sessions were full of fun, laughter and enjoyment as both the patients and children got to know each other and talked through their designs. It was heart-warming to see the bonds develop and how relationships were formed as barriers were broken down. 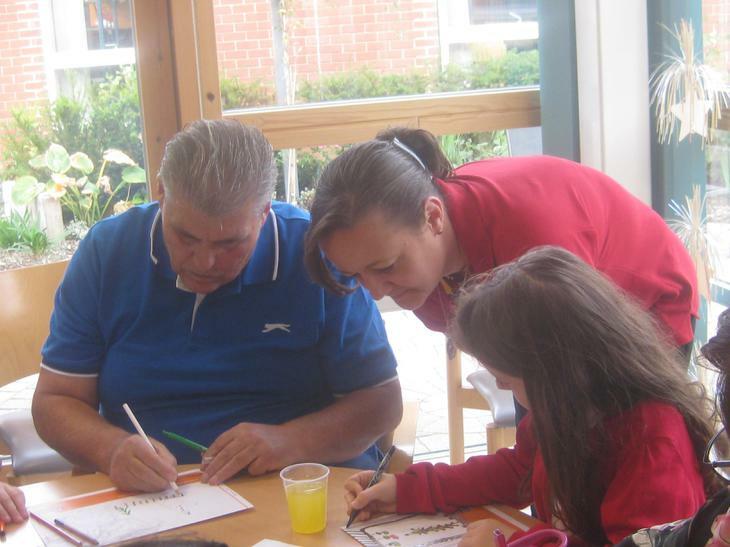 Parents and friends were invited to the final sessions where we learnt who had created the winning card. 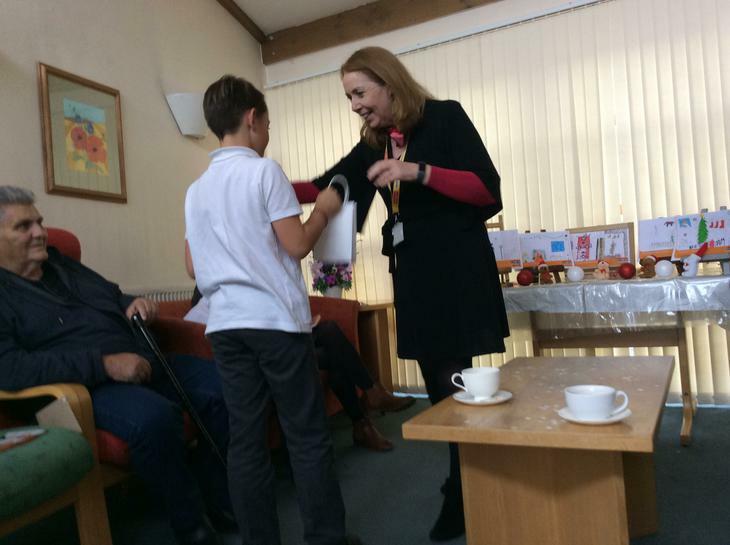 Each child was presented with a ‘thank you’ gift by the hospice along with a visit by Lionel the LOROS Mascot. There was great excitement when the LOROS Outreach Bus arrived on the school playground. The children were excited to make a visit to see what was happening. The hospice have been totalling up the amount of money that has been donated and a staggering £9177 has been given over the years! As a thank you they came along with their bus as a mark of appreciation. 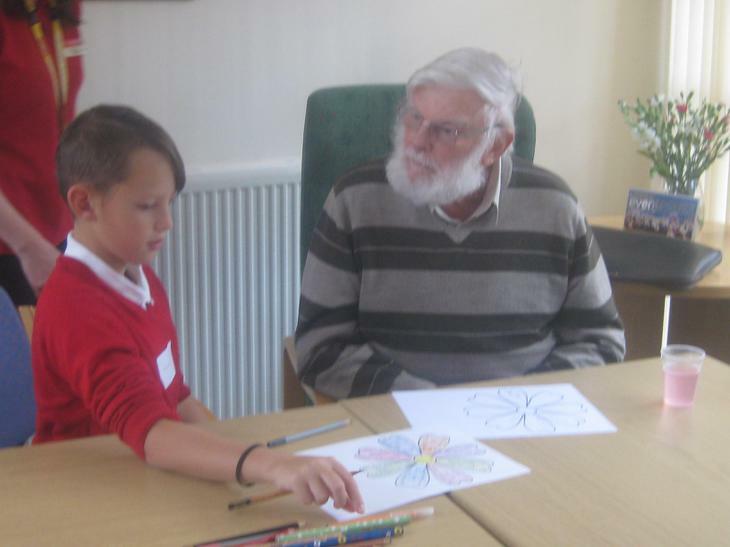 The children took part in a quiz as well as learn about the work of hospice. 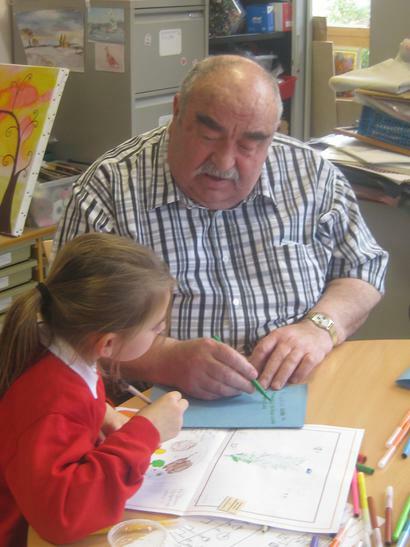 Each child was able to write a message on a post it for the patients back at LOROS. Very kindly they brought along lots of ‘treats’ for the children to enjoy. They also launched a competition to design a new bus for LOROS and all the entries will be judged by the Day Therapy patients at LOROS. It is through such community links that we make a difference.